Discussion in 'BigBox General Chat' started by Greg Holloway, Apr 27, 2016. I should have posted this before but I keep getting distracted! We have a contest running on reddit with the chance to win a BigBox. Pop over to reddit for details! pretty cool concept I will have to whip something up. This is all very new to me... Why OpenSCAD @Greg Holloway ? Wondering what the difference would be for the BigBox team to be able to use the model? 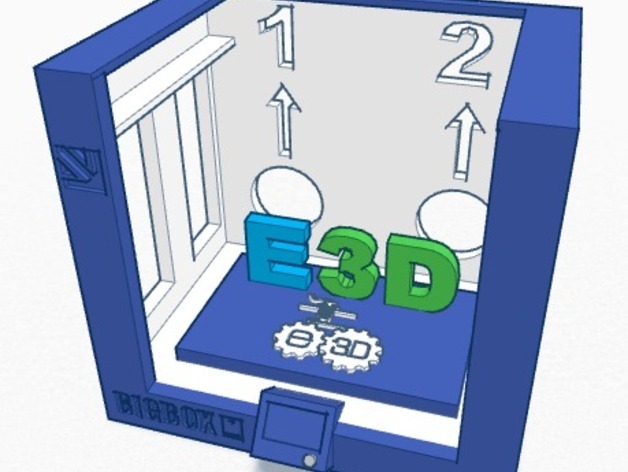 I have only been playing around with Tinkercad since getting the BigBox and need to watch some tutorial videos of 123D Design cause that's what you said you used to design the BigBox parts. 3D printing is great, but 3D printing models one designs themselves is phenomenal!!! It was just a challenge, OpenSCAD is a very powerfull bit of engineering software and more people would do good to use it, so it got a mention. It's outside of my skills set! 123D is very good. I find it very quick and it works well with my approach. OpenSCAD is more a programming environment than a typical CAD package you are used to. There is no "drawing" mode, but you can do things (especially things that repeat or depend on each other in a cascading fashion) that would at best be tedious or simply not really possible with hand drawn CAD objects (see someone's knurling of screw heads - and while technically you could do it by hand, it would take days...). That being said, if you aren't seriously technical, it is very daunting. I would also suggest looking at OnShape, which runs in your browser like TinkerCad but is from the original SolidWorks guys, and is a serious CAD package. Allows powerful collaboration with others instantly (like you both are working on the same model live). There is a free trial, and if you are like me, an educator, it is unlimited free, and then for commercial there is the Pro and Corporate licenses. Yeah, but you very quickly use up storage space. I've got the unlimited version so there is no storage space limit. @Greg Holloway Did I misunderstand the contest description... So OpenSCAD isn't required for the designing of the model for the contest? I can use a design I created while working to learn Tinkercad? You can use anything you like. OpenSCAD is only a suggestion or a nice to have. Thanks for the clarification -- I was going to not enter as I work in Rhino5. 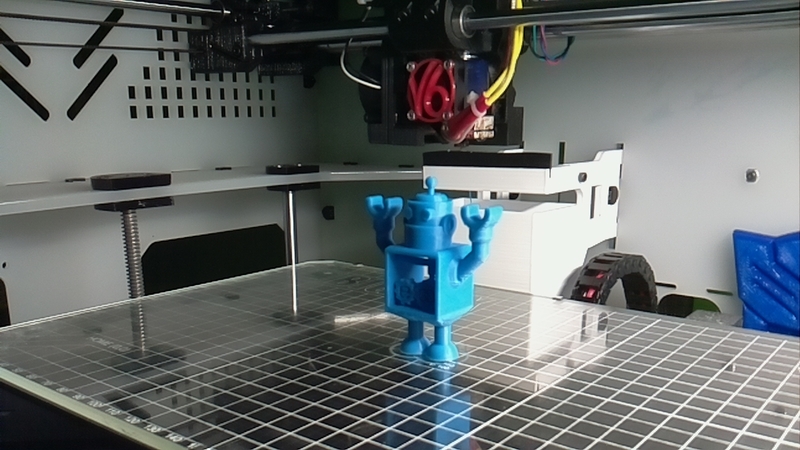 A little bit cliche and boring that everyone and their mom's 3d printer mascot is a robot. ie Ultimaker and MakerBot. Who here entered in the contest? Nice John. A BigBox printing a Bigbox. We must go deeper! Is this going to be a thing like Lulzbot where they print a Rocktopus with every printer they ship? I agree it is cliche with all the robots but I can't help agree with @Mike Kelly that the robot looks cool. About to finish my 2nd print of that robot, one @ 50% and now one @ 100%. This was my first attempt at printing something so small with my BigBox. It's cute-ish and tests a lot of different features.